"Moreover [the children's] mindset [in the Islamic Madrasa education] is nurtured with a message of hatred towards all non-Muslim communities... Islam is the only true religion, all other religions are false -- this is what they are taught from the beginning by the Madrasa teacher. They also chant nonstop the mantra that all nonbelievers (in Islam) are Kafirs and infidels fit to be destroyed by all true Muslims." — Shudhansu S. Tunga, author of A 20 Million Billion Trillion Dollar Loss: The Story of India's Downslide Independence. In such a small land as Bangladesh, roughly the size of the U.S. state of Iowa, there are 15,000 officially registered madrasas, accompanied by 200,000 teachers "teaching" four million "students." If one adds to it the number of unregistered madrasas, the number is as high as 64,000. "Bangladesh is appeasing the most insidious and violent strains of Islam... That appeasement of theocratic demands and naked threats must end, now." — Bob Churchill, Director of Communications, International Humanist and Ethical Union. One can imagine from the number of madrasas and mosques -- abetted by a government that turns a blind eye to lawlessness -- how many people listening to hate preaching are now being raised to be "Soldiers of Allah." Dissent is not tolerated in the monolithic Islamic society of Bangladesh. Extremist Islamic forces not only vandalize the idols and temples of the Hindus or Buddhists, they are also kill anyone who speaks out against radicalization or Islamization. The extremist Islamic forces mostly target university teachers, engineers, writers and bloggers, one after another -- whoever is not in total accord with their faith, including anyone secular-minded. Notably, it was after the founding the International Islamic Front for Jihad in 1998, that Bangladesh experienced the first major attack conducted by Islamists, on March 6, 1999. It killed 10 and critically injured 105 innocent people who were listening to music at a cultural program organized by Udichi, a secular cultural organization. Since then, many terrorist attacks have taken place in Bangladesh. Nonetheless, the country's politicians do not take initiatives to prevent Islamic radicalization, presumably in fear of displeasing the country's huge Muslim populace. Rather, every incoming government not only winks and nods the Islamists, but also provides room to nurture extremism. Bangladesh, a country roughly size of the U.S. state of Iowa, has 15,000 officially registered Madrasas [Islamic religious schools], accompanied by 200,000 teachers "teaching" four million "students." If one adds to it the number of unregistered madrasas, the number is as high as 64,000. "Frankly, the Madrasa education instead of uplifting the Muslim boys and girls, is keeping them downgraded on many points, especially to face today's job market competition. Moreover, their mindset is nurtured with a message of hatred towards all non-Muslim communities. This is the gravest of dangers not only for the future of the Muslims but also for the whole mankind. Islam is the only true religion, all other religions are false─ this is what they are taught from the beginning by the Madrasa teacher. They also chant nonstop the mantra that all non-believers (in Islam) are Kafirs and infidels fit to be destroyed by all true Muslims." In such a small land, there are also 250,399 mosques where believers are being summoned to hate non-Muslims. They especially curse the Jews by using the anti-Semitic Koranic verses and the widely read hadiths. Bangladesh is now one of the most dangerous places for a dissident to live. Murders this year include Samiulla Afridi and Avijit Roy. Samiulla Afridi, the lawyer who represented Dr. Shakil Afridi (no relation), was shot dead on March 17. Dr. Shakil Afridi had conducted a vaccination program to help the Central Intelligence Agency locate Usama bin Laden. Samiulla Afridi's murder was presumably retribution for having represented the doctor, whom the US let remain in a Pakistani jail. Avijit Roy, an American citizen of Bangladeshi origin, who had a PhD in software engineering from Singapore, was hacked to death on March 17 after attending a book fair with his wife, also wounded in the attack. Roy, an engineer, was also the author of several books on science, atheism and freedom of expression. He was the founder of Mukto-Mona ["Free Mind"] blog, and well known for his writings which opposed religious fundamentalism. No one of course has been caught. It is not known if anyone has even looked for the perpetrators of both crimes. 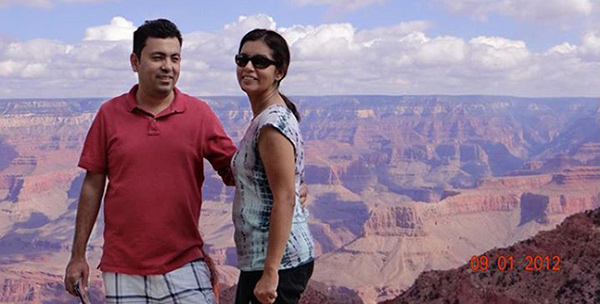 Avijit Roy (left), an American citizen of Bangladeshi origin, was a blogger and opponent of religious fundamentalism. He was hacked to death in Bangladesh last week while attending a book fair with his wife, who was wounded in the attack. "Those who made the most credible threats on Roy's life have been allowed to do so with impunity, and now he is dead. As Roy himself warned, Bangladesh is appeasing the most insidious and violent strains of Islamism, and he knew his own life was under threat. That appeasement of theocratic demands and naked threats must end, now." "It is a land of lush green fields nourished by brightly burning sun. This is what is depicted on the nation's flag, a design that rejects the religious symbolism found in those of India and Pakistan -- the latter of which Bangladesh fought a bitter war of independence, partly so it could become a secular state. But that early commitment has been betrayed and instead Bangladesh has become a nation where those promoting secular values can expect to live their lives in fear, be threatened with death, and even brutally killed." Avijit Roy was not the first victim targeted by the Islamists in Bangladesh. Last year, Ahmed Rajib Haider, an architect by profession, was also hacked to death by machete-wielding attackers from an Islamist militant group, Ansarullah Bangla Team. It takes its ideology from Yemen, based on statements from the Al-Qaeda ideologue, Anwar Al-Awlaki, and associated with the Jamaat-E-Islami party in Bangladesh. The same group attacked another blogger, Asif Mohiuddin, who through his writings opposed the Quranic chapter 4, verse 34, which says, "A man can beat his wife, if she does not obey her husband." Mohiuddin, also involved with Mukto-Mona blog, was arrested by the Bangladeshi authorities for "hurting religious beliefs." Professor Humayun Azad was an esteemed university teacher, and one of the most prominent scholars in the country. 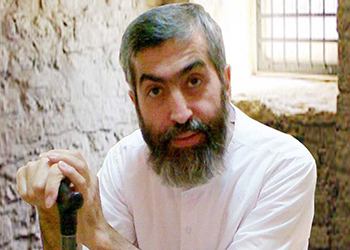 On February 27, 2004, Islamists attacked him him with machete; he narrowly escaped death. But on August 11, 2004, he was found dead in his apartment in Munich, Germany, where he had arrived a week earlier to conduct a research on the German poet, Heinrich Heine. Bangladeshi militants have had longstanding relations with Al-Qaeda and its leaders, including Osama Bin Laden and Ayman Al Zawahiri. According to reports, Bangladesh's first openly-formed Islamist militant outfit, Harkat-ul-Jihad (Huji), is closely linked with Al-Qaeda. Huji emerged from a group of Bangladeshi Afghan war veterans, who had gone to Afghanistan and joined with mujaheedin ["jihad warriors"], addressed the press conference. There are reports that Bin Laden, in February 1998, came up with a coalition of Islamic militants named "International Islamic Front for Jihad against the Jews and Crusaders" to fight against the U.S. Among five coalition founders, one of the Bangladeshi militants and Zawahiri were signatories of a statement, issued in February 1998. Major Gen (Ret). Abdur Rashid, a Bangladeshi security analyst, said, "Many Bangladeshi militants had visited or re-visited Afghanistan through Pakistan and maintained the links established earlier. The communication between them became easier with the availability of internet." Monir Hussain is based in Bangladesh. Shudhansu S. Tunga , A 20 Million Billion Trillion Dollar Loss: The Story of India's Downslide Independence. Dorrance Publishing Co., 2014, page 163. We are all in trouble in the west if we don't deal with this problem asap! For centuries, Islamic rulers used jihad warriors to subjugate, murder and/or forcefully convert to Islam huge parts of the indigenous populations of the Middle East, Central Asia, Europe, North and Central Africa,the Indian subcontinent and beyond. Nothing new under the sun, but leaders of the West are still not realizing the huge threat Islam is posing to the achievements of the Enlightenment! I'm sure most of us do not understand how a religion can be so barbaric as to behead innocent people, impose 100 lashes, kidnap 200 schoolchildren, etc. The United Nations is powerless to act and the West is reluctant to intervene. What happens next? In India, the National govt is showering gigantic support to madrasa education from the beginning with out caring what they are educating Muslim children. Is it not knowingly supporting a terrorist religion by a National govt ? They should take extra caution in Madrassa activities and the funds flowing from other countries to minority institutions. Otherwise this country's future will be bleak.